Kansas and Kentucky may not be the best college basketball teams by the end of the 2018-19 season. But as it stands, it’s hard to justify slotting any other school above them. So today, we’re breaking down the Wildcats and Jayhawks themselves. Who deserves to be the No. 1 team when the first polls come out? Experience meets talent. It usually takes both to win at the highest level. If Kansas starts Azubuike, the Lawsons, Vick and Moore, it won’t have any freshmen in the starting five. And even if Grimes gets the nod over K.J. Lawson, the Jayhawks will be fine. Dedric Lawson is probably the best player on the Jayhawks, but there are six or seven guys that could reasonably lead them in scoring on a given night. The Memphis transfer averaged 19.2 points, 9.9 rebounds, 3.3 assists and 2.1 blocks per game in his final season with the Tigers. Lawson probably won’t top those numbers at Kansas, but he’s a stat sheet stuffer capable of carrying a team if necessary. But most nights, he won’t have to. Azubuike was a mismatch for Big 12 centers last year, shooting a whopping 77 percent from the floor. He could crack 80 with another offseason of development. Vick (37 percent from 3) is the type of 3-and-D wing every title contender needs. The Jayhawks will be able to play big or small, slow or fast. An intriguing lineup: slotting Lawson at center and surrounding him with Vick, his brother K.J., Grimes and Moore. Good luck stopping that five-out attack. When the Jayhawks use Azubuike and Lawson together, they’ll torch foes on the boards. And Kansas has a coaching edge over just about everyone as long as it employs Bill Self. This team has it all, including depth. It’s the best roster Self has had in a while, which is saying something. It’s nitpicky, but Kansas’ point guard play has the potential to be spotty. Moore shot less than 40 percent from the field in his lone season at Cal and will be relied upon to run the offense. He needs to prove he can distribute more frequently and become more efficient. But even if Moore falters, which is unlikely, the Jayhawks have a stud incoming freshman in Dotson. At least one of those two should work out. Point guard is the most unproven position on the roster going into the year, but Kansas has talent there. This team doesn’t have a glaring weakness, but for this sake of this argument, Kansas’ ceiling isn’t as high as Kentucky’s. Besides Grimes, there may not be a first round pick on the roster (that said, there are plenty of NBA-caliber guys). The Wildcats have more potential star power, typical of a Calipari roster. Kansas has a smaller range of outcomes. Whether that’s a positive or a negative depends on your perspective, but it’s hard to imagine this team falling below the 2-line come Selection Sunday. While Kentucky isn’t experienced relative to normal teams, Kentucky is experienced by its own standard. That’s huge considering the Wildcats’ dynamic talent. Travis transferred in from Stanford, where he averaged 19.5 points and 8.7 rebounds in his final season. He’ll likely start alongside Washington, returning for his sophomore year. Throw Green in, and the Wildcats will likely start three non-freshmen. Calipari regularly started five rookies last year. Travis and Washington are both face-up forwards who are plus ball-handlers for their size. While there’s some potential overlap in their games, they should work well together thanks to their combined playmaking. Kentucky has way more shooting this year and should improve from behind the 3-point arc immensely. 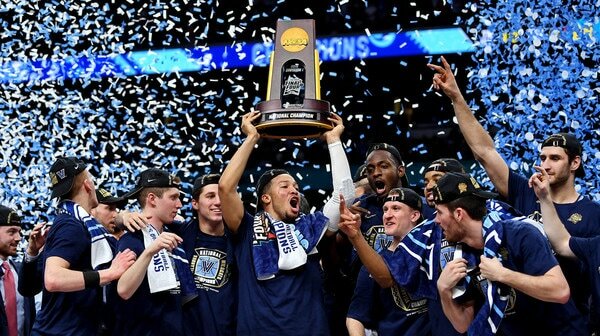 Remember, last season the Wildcats won a tournament game without making a 3. Only seven Division I teams jacked fewer 3s than them last year. A reminder: 3s are good! This team is just as talented as last year, but has more experience and puzzle pieces that make more sense. It’s going to be a fun year in Lexington. While Kentucky has more star power than Kansas, it still doesn’t have a De’Aaron Fox, John Wall, Anthony Davis or Demarcus Cousins type. Hagans and Montgomery probably have the most pro potential, but they’re not surefire stars. That said, someone is probably going to pop like Shai Gilgeous-Alexander did last year. We just don’t know who yet. And as we mentioned before, Kentucky is old by its standard, but it’s still young in general. Travis is the only upperclassman likely to play a key role. Another negative that may be a positive, again, depending on how you look at it: role allocation. Kentucky goes 10 or 11 deep. How are the 10th and 11th guys going to respond if they don’t get enough minutes? How long will it take Calipari to find the right rotation and stick with it? Kansas’ rotation feels more defined, even if the Jayhawks aren’t as deep. It’s nice to be deep — to an extent. But you don’t need 10 or 11 capable guys to win a title. You need six or seven, and having more can complicate things. First world problems, of course. So Kentucky has too many good players? Sure beats the alternative. Kentucky by a hair. It feels like one of Hagans, Johnson or Montgomery will blossom. If that happens, the Wildcats’ ceiling is just a bit higher than the Jayhawks. It should be a fun season. Don’t be shocked if these teams meet in the national championship game.